In addition to the area 's landscape, its tasty dishes are also well known. The hot Xiang Cuisine and fresh Yue Cuisine feature their own local traits. They are not only tasty, but are said to have many health benefits. Duck Stewed with Ginkgo Seeds, Lipu Taro Pork, Stewed Clams and Chicken, Lohan Boiled Chicken, and Fried chicken with Water Chestnut, are a few of the traditional cuisines worth trying. An abundance of specialty snacks are also offered throughout the city by street vendors. One of these is Guilin 's famous rice noodles, a must try dish. Guilin Rice Noodles have become popular across the country. It is the favorite food among the locals, is cheap, and delicious. The noodles are made through grinding high quality rice. Cooked rice noodles are pure white, tender, smooth and refreshing. These are always served "wet" in fragrant pork or beef flavored soup. All kinds of seasonings and extra ingredients can be added depending on your taste. 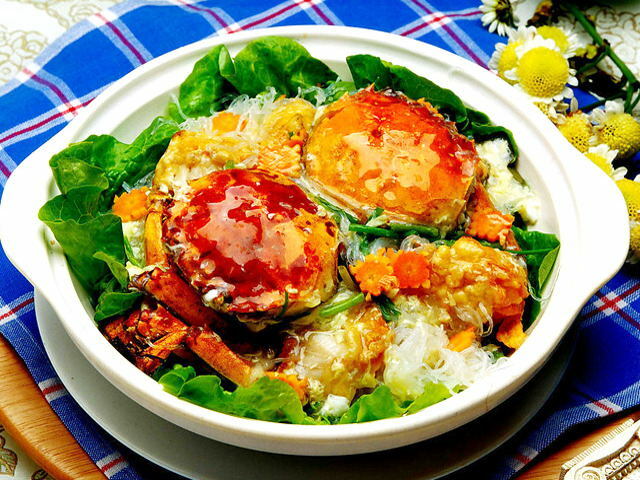 Guilin Escargot is made from a type of snails living in countryside fields. This sort of snail is large and rich in meat. They are boiled with a special Chili Sauce, Sanhua alcohol, shallot and ginger. After that, they are stir-fried with all sorts of condiments and ingredients. With a slightly spicy and vinegar tang, they are zesty and appetizing. It takes a special skill to get the meat out of the shell, but is not very difficult to learn if you want a fun, memorable experience to share with your friends back home. Yangshuo features a number of hybrid dishes combining Western and Chinese cooking styles. Fish cooked with beer is one representative example. The grass carp from the Li River is fried with its scales and then stewed along with beer and several seasonings such as chili, garlic, onions, celery, and tomatoes. 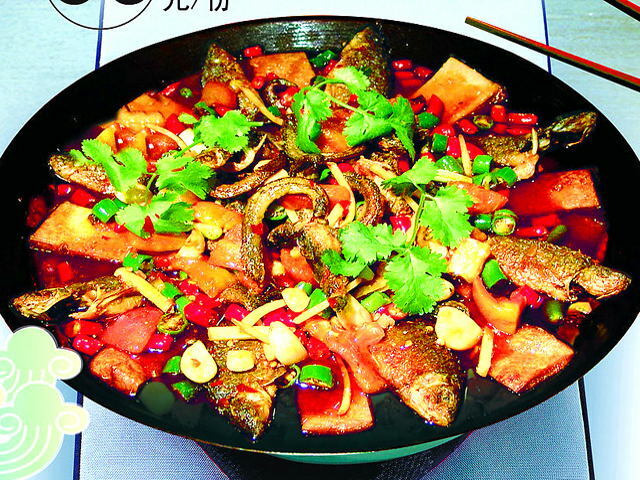 The fish tastes fresh and tender with a sweet/sour flavor. This traditional food is a black chicken, known for its positive health benefits for women. Medical herbs like Lohanguo, astragalus, and codeonopsis pilosula are added. The special chicken, traditional Chinese herbs, and special steaming method combine to create a dish full of nutritional value. This is one of the best dishes here. It appears on family dinner tables often. The duck and ginkgo seeds relieve inflammation, making it not only a tasty dish, but a healthy dish as well. The local cuisine is available in every restaurant of Guilin, ranging from Chinese restaurants of 5-star hotels to the sidewalk stalls. However, taking prices and sanitary conditions into consideration, we recommend maixiangfang restaurant to you. 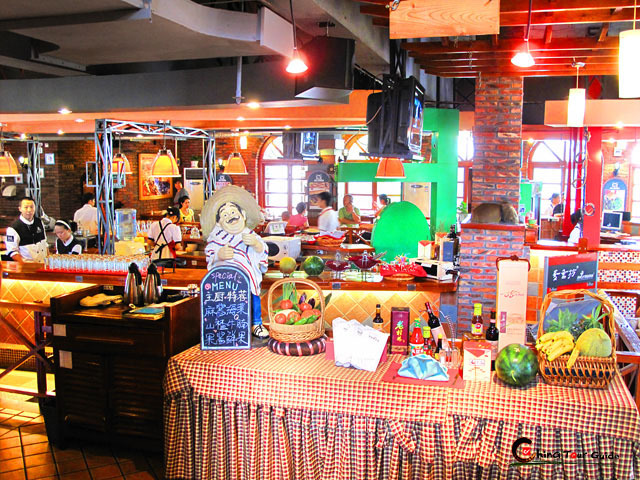 The Maixiangfang restaurant is quite popular for its cute decoration style. Kids will feel much at home when they find checked table cloth, here-and-there cartoon toys and warm light. All the feature dishes of Guilin are available here with better look and fresher taste. Besides, Western food can be served. If you don't plan to spend a lot, just get the perfect combo of price and standard here.